The pieces in this collection are comprised of higher end earrings and necklaces over $1000 & $3000 respectively. 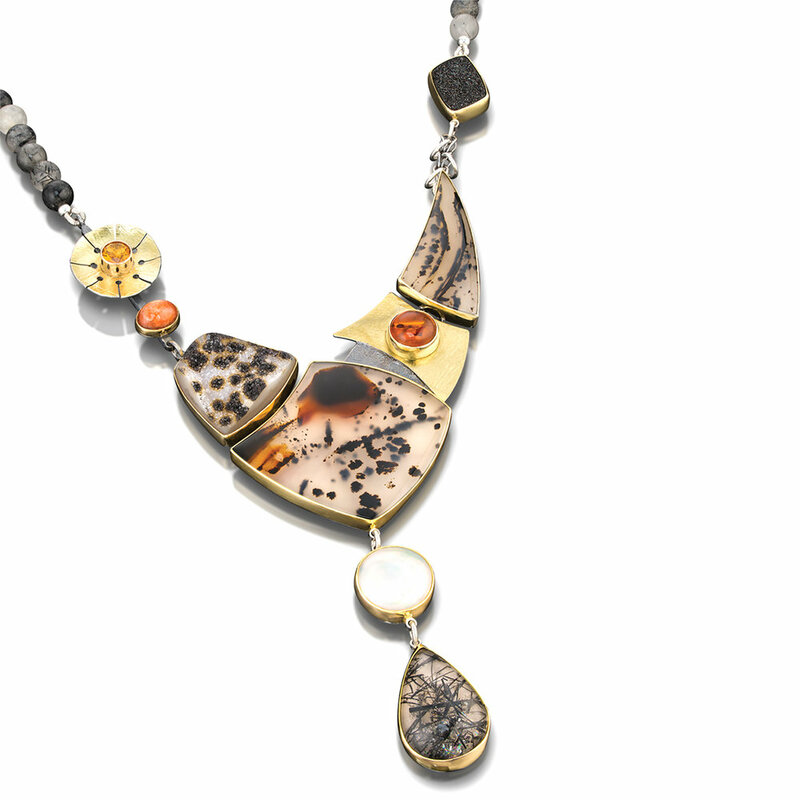 Each One-Of-A-Kind Piece begged to be made irregardless of price. Mined with the claim owners in Nevada – beautiful, rare, natural, Blue Moon Turquoise is the star of this collection of necklaces, bracelets and earrings in honor and memory of Dean Otteson. Read the entire story here. The Ojibwe believe totems are spirit beings, sacred objects, or symbols that serve as an emblem of a group of people, such as a family, clan, lineage, or tribe. Simplified shapes and beautiful stones are combined into empowering statement pieces celebrating both the human spirit - and the spirit of the stones. Both feminine & feisty with a certain edge, a certain flair and classy elegance is a study of balance. Stones are combined together in minimalistic way to show off the beauty of the stones.